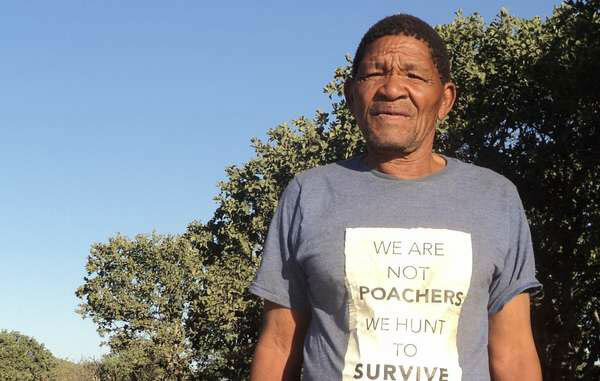 In a letter addressed to Prince William, renowned Bushman leader Roy Sesana wrote, “For a long time now the government in our country says we are poachers because we hunt to feed our families on our land. It tries to stop us from hunting, even though our High Court said that this is a death sentence for us. 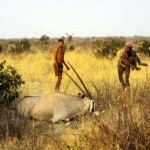 The wildlife scouts are arresting and beating up many Bushman hunters. 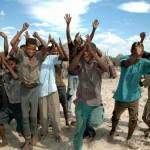 Survival International, the global movement for tribal peoples’ rights, recently exposed hundreds of cases of abuse of the Kalahari Bushmen at the hands of wildlife officers and police. 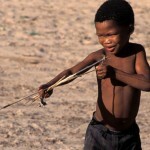 Its “Parks Need Peoples” report exposes how conservation has led to the evictions of millions of tribal people from “protected areas,” as well as the abuse faced by tribal peoples like Bushmen or Baka.